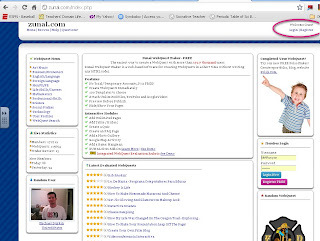 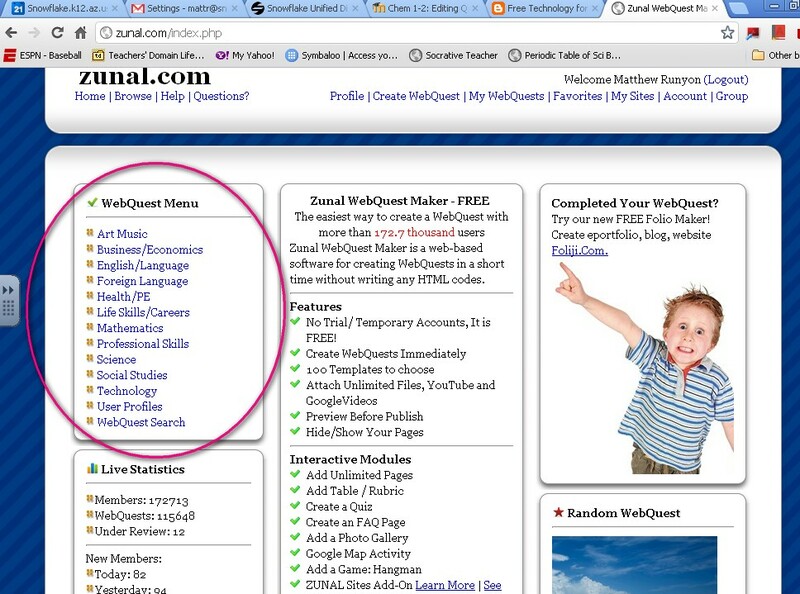 Zunal.com is a site for searching for and creating webquests. 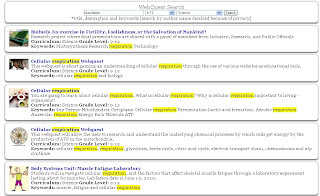 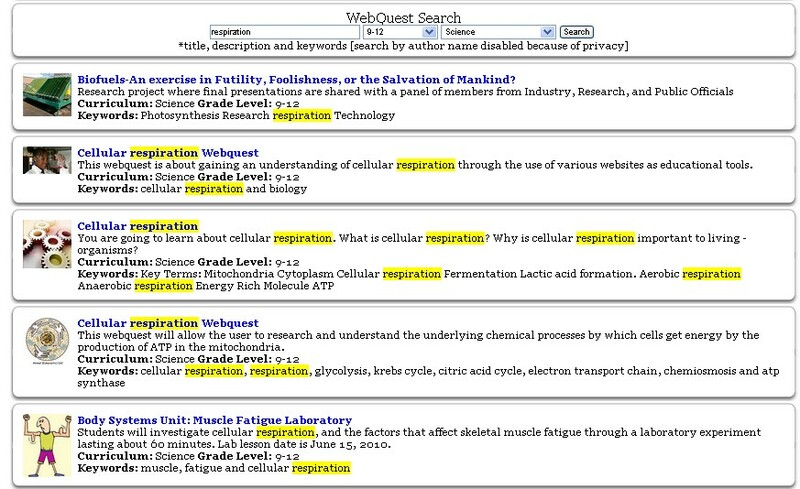 There are hundreds of webquests for all levels and subject areas on the site. 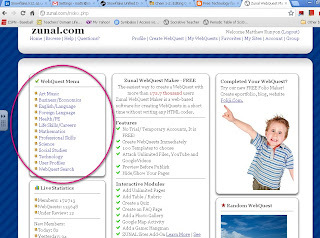 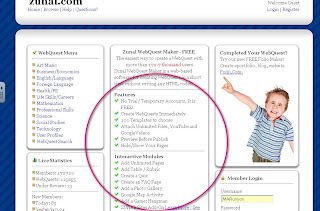 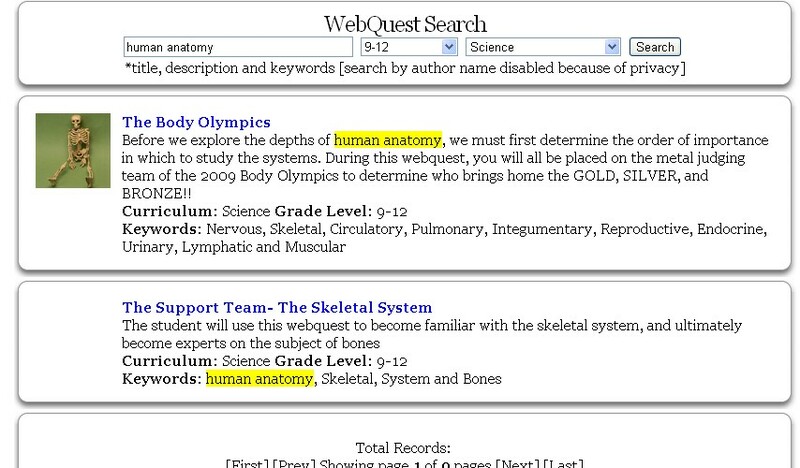 In this entry we will go through how to find a webquest. 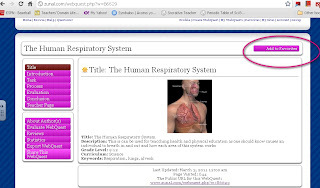 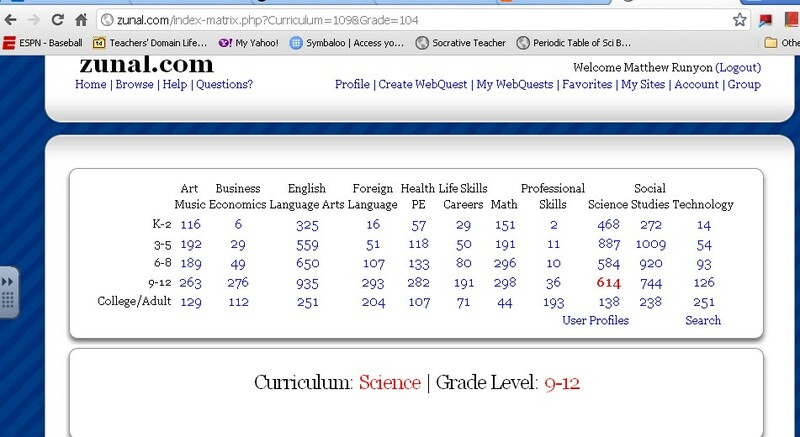 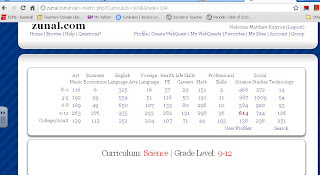 The next screen will show a matrix of different subjects and grade levels. 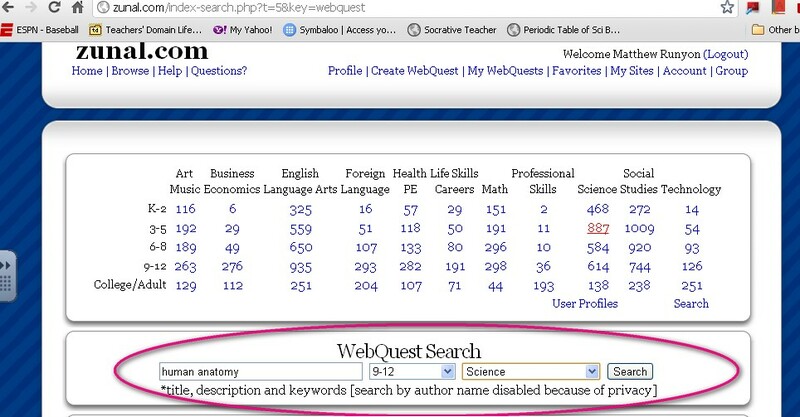 Mine happens to be set on high school science. 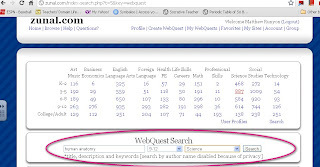 If you want to do a specific keyword search, click the "search" link on the bottom right of the table. 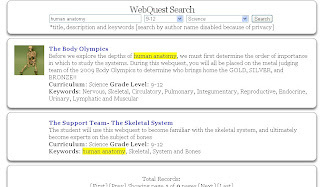 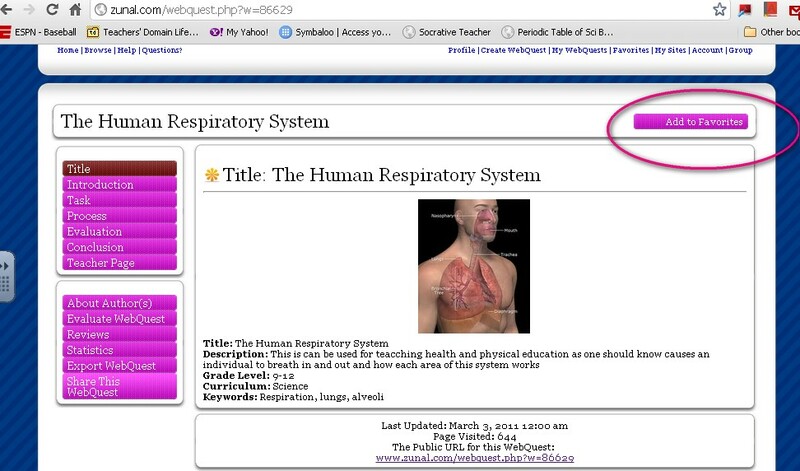 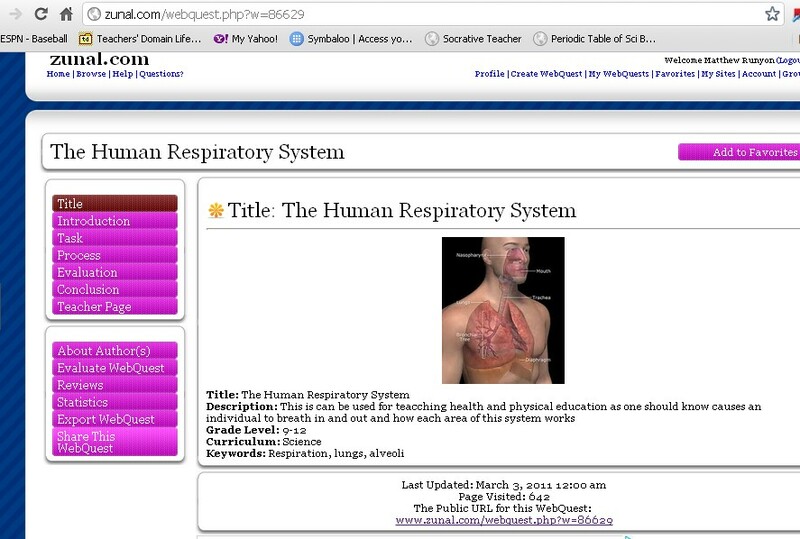 There are several things you can do with this site such as writing quizzes, creating webquests, and making games. 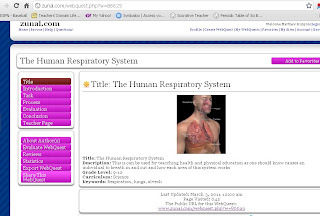 We will go through those in future posts. 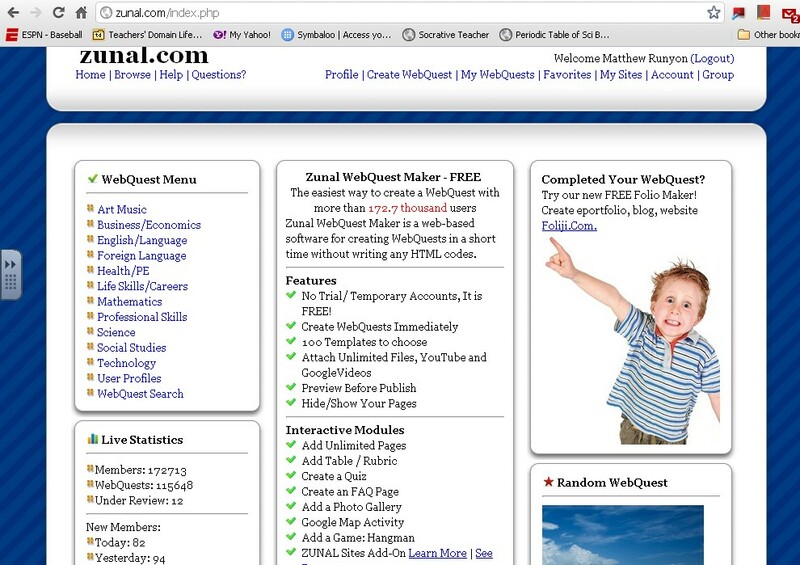 Happy webquesting!